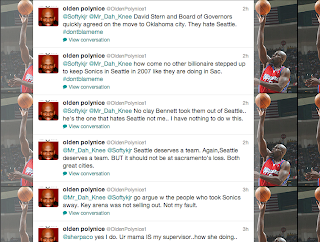 Seattle Supersonics fans broke the interwebs this morning. 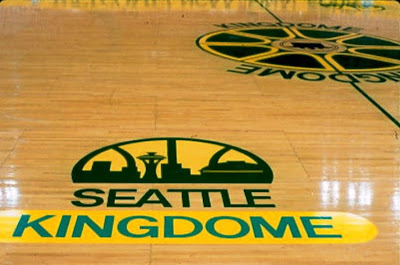 A priority waiting list for (potential) season tickets to the (potential) Seattle Sonics 2.0 went live this morning on SonicsArena.com. Or least it was supposed to. 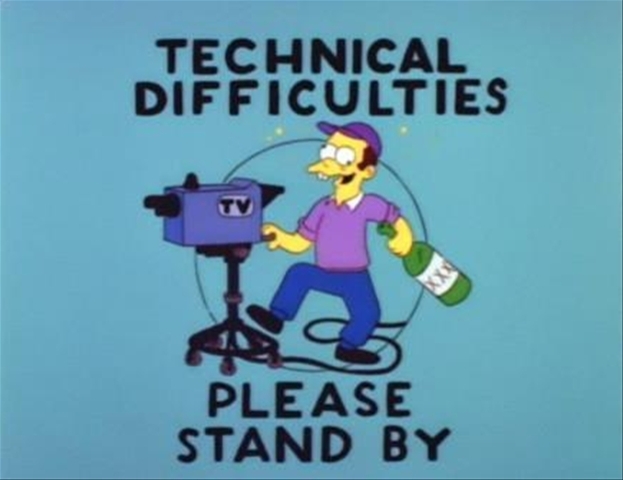 Whether is was the crushing press of crazed Sonics fanatics or the sinister work of Sacramento computer ninjas, the site was unavailable most of the morning. As of 10:30 this morning this site is still down, but you can still access the survey here, which will get you on the (potential) wait list. UPDATE: Looks like the site is back up. Go over there and get some virtual tickets for all your virtual friends! 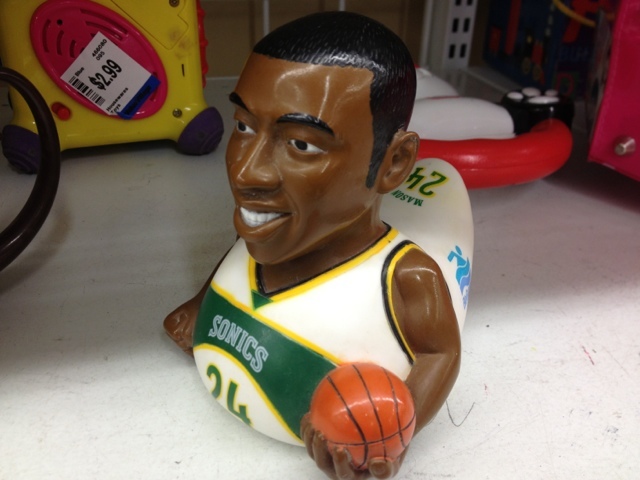 We’re all familiar with the famous Seinfeld episode wherein Elaine Benes is kicked out of Yankee Stadium for wearing a Baltimore Orioles cap (she was in the owner’s box at the time), but did you know a very similar event happened at a Sonics’ game, and that it involved the brother of perhaps the most important figure in Seattle Sonic history? It was March 2, 1987, and the Sonics were taking on the Cleveland Cavaliers in a battle of not-exactly-titans. However, it was a big game in that Lenny Wilkens was back in town, this time as the coach of the Cavs, and the Sonics were honoring their former coach and player by putting his number in the rafters, a classy move by the organization, to be sure. 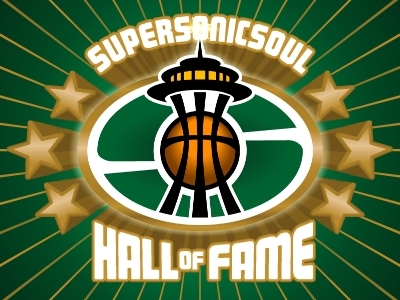 (It should be noted that numerous newspaper reports indicated that the Sonics retired Wilkens’ jersey; however, considering that even more reports indicate that the jersey was retired in 1979, I’m not sure exactly what was put into the rafters that night). One person in particular was thrilled by the night’s events – Lenny’s brother, Michael. Michael had been a statistician for the team for more than seven years, and remained in the employ of the team even after his brother left for Cleveland. To honor Lenny, Michael thought it might be a good idea to wear a Cleveland cap during the game. Just a heartfelt tip of the, well, cap to his famous brother. No harm, right? 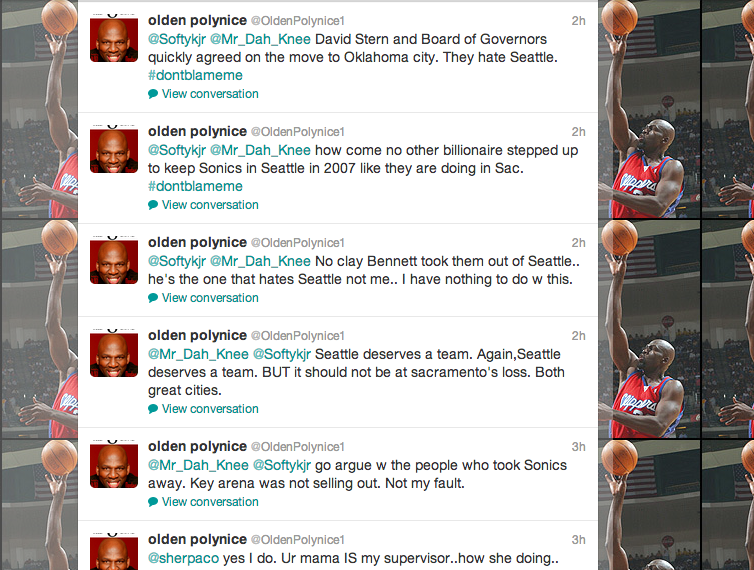 Michael obviously forgot who was running the Sonics. You see, Barry Ackerley had bought the club, and while former owner Sam Schulman would have just chuckled at seeing one of his employees wearing a cap of an opposing team (heck, Schulman probably would have tried to sell Cavs’ hats in the arena if he could make a buck off it), Barry Ackerley was most definitely not Sam Schulman. Which is why, after halftime, Bill Ackerley, Barry’s son and the team’s Vice President, approached Michael and asked him to remove the cap. Michael, thinking that the Wilkens family had done enough for the team to allow him a smidge of leeway, told Bill, thanks, but I think I’ll keep my hat on. Bill, realizing that it wasn’t in his best interests to create a scene, retreated after a bit of debate. And then fired Michael the next day. Better yet, Ackerley claimed that he didn’t know that Michael was Lenny’s brother. 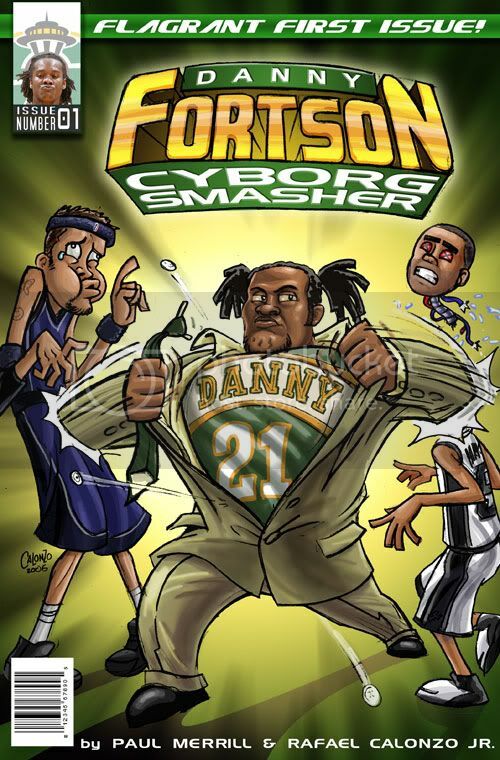 I’m not sure what’s worse, that the team’s Vice President didn’t know that a seven-year employee was the brother of the most famous person to ever don a Sonic jersey (to that point, anyway), or that Ackerley was taking the exact opposite tack of every white person in history in not thinking that two black men didn’t look similar to one another. Whatever the case may be, on March 6, 1987, newspapers across the country ran stories about how the Sonics had fired Lenny Wilkens’ brother for wearing a Cleveland Cavaliers cap.